At Holidaysafe we pride ourselves on being transparent with our customers and, following some recent track event debates concerning hospital treatment abroad, we wanted to clarify our position, policies and procedures for our customers. If you have any questions, please feel free to email Holidaysafe@tifgroup.co.uk and we’ll do our best to answer your queries. Why do we Recommend Public Facilities? As a general rule, in Spanish public hospitals specialists are available to give input on any emergency around the clock every day of the year, however this is usually not the case in private clinics, the reason being that the cost of providing such extensive on-site specialist care is extremely expensive and only viable in a facility funded by the state. Secondly, public hospitals in Spain are regulated by the Government and, crucially, this includes the standard of medical care. This means it is virtually impossible for a doctor in a public hospital to be working in a field for which he or she is not qualified. There is no such regulation in place for private clinics. Thirdly, in our experience, it is common to see customers receiving unnecessary treatment in private clinics. Customers are admitted unnecessarily and, once in the clinic, receive investigations and treatment which are not necessary. This is not just wrongful, it can be dangerous for patients to receive treatment that they don’t need. Treatment in public hospitals is driven only by the clinical needs of a patient. Furthermore, we receive many reports from our customers on the pressure that private clinics put on people to pay medical bills, both at the time of their stay in hospital and then on their return to the UK. What are our Policies on Treatment Abroad? 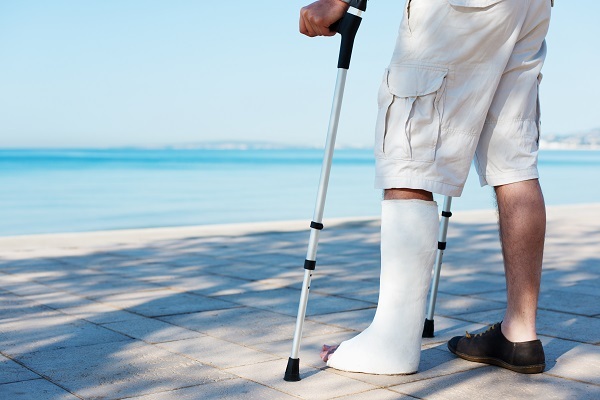 Firstly, I think it’s important to say that the majority of travel insurance companies will have a clause in their policy wordings which states that they will only cover treatment in public hospitals, however this usually refers to out-patient treatment and less serious injuries. In the event of serious injury (which is very possible at a track event), we always recommend that customers seek the best available treatment, whether this is at a public or private facility. All we ask is that customers notify our 24/7 emergency assistance line as soon as possible so they know where they are and that they can liaise with the hospital to ensure they get the best treatment – they may also arrange to move patients to a better facility when they are stable and if appropriate (this again is standard practice with all insurers). They can then also arrange repatriation if necessary (which is covered under the medical emergency section of our wordings). This stance is exactly the same as most other travel insurers, including the biggest track day insurer whose policy wording states that “There is no cover under this policy for in-patient medical & treatment expenses incurred in a private hospital, unless specifically authorised by Our Emergency Assistance Service”. Again, in Spain specifically, the public facilities will invariably offer the best care. Once the customer (or someone acting on their behalf) has contacted us, we can log the case, liaise directly with the hospital, and even arrange for them to be repatriated home if necessary. If you don’t already have an EHIC card, click here to get one whilst you still can. The EHIC card is free to receive, and ensures you receive free/reduced price treatment whilst in Europe. If you have a smart phone you can now download the new EHIC app also. Top Tip! Most insurers will also omit your excess if you have used your EHIC successfully also.